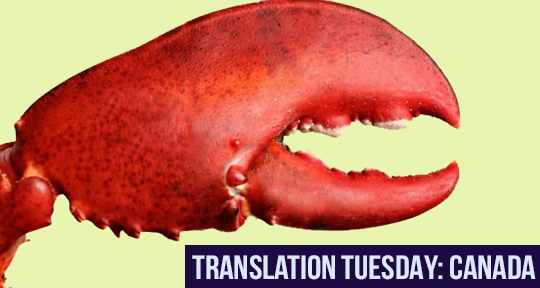 Tensions in the family bubble and boil over in this excerpt from The Lobster by the award-winning Monique Proulx, translated by Frances Pope. What happens when Marceau brings home a lobster he can’t afford? Read on to find out. As always, Laura’s first words were recriminations. It has to be said that the creatures were no less threatening for being quite dead; amongst the tangle of legs, claws, and feelers which now filled the sink, you could make out here and there the glimmer of a small, black, malevolent eye—more alive than the others, you’d swear—peeking at you with belligerent hate. Marceau had stopped twice on his way home, hearing the wind flap against the big plastic bag, worriedly checking to make sure that the contents weren’t still wriggling, and that his hand wasn’t about to be sliced clean off by a claw. Looking for your next read? You're in the right place. The newest issue of Asymptote has just dropped and it is beautiful. In the physical world, the literary world is abuzz with festivals and publications around the world. 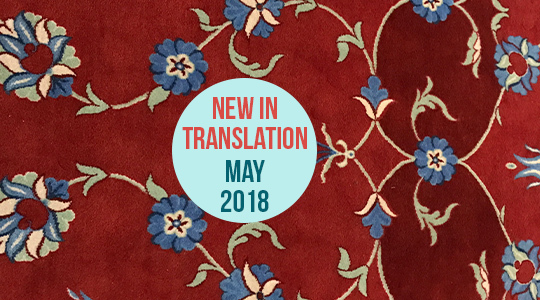 We are back with another round of the newest and most exciting translation gems coming to bookshelves this month. This month, we bring you reviews of recent publications from Norway and Canada. 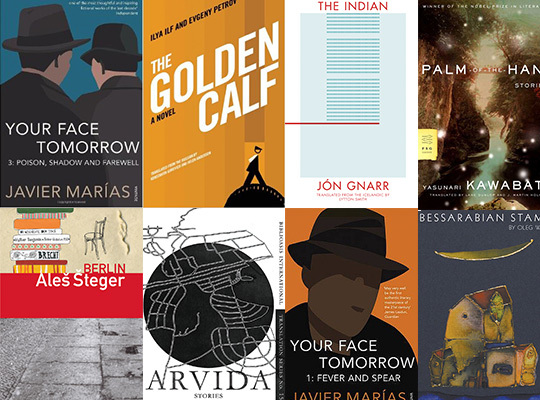 And if you are looking for even more, carefully selected translations, check out the Asymptote Book Club! 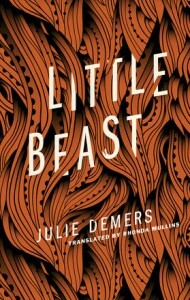 Julie Demer’s Little Beast (translated by Rhonda Mullins) is a dark fairy tale, more Grimm than Disney, set in the forbidding landscape of wintery rural Quebec. The shape of the story is familiar. 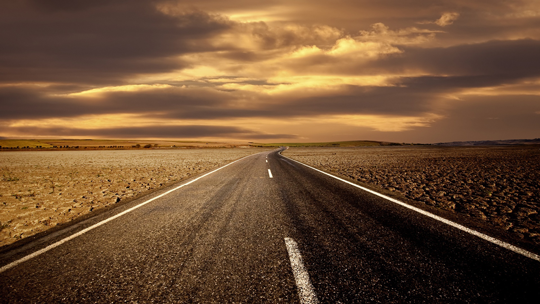 A child, an absent parent, a “curse,” fumbling adults to be outwitted, a quest, a return home. Demers never flinches away from her young narrator’s perspective and yet Little Beast slowly emerges as a tale about the end of childhood and the intersection between experience, self-perception, and cultural narrative. Our narrator is a young girl who has been ostracized from her village since sprouting a full, bushy beard. The bearded child has been living in an abandoned cabin for a month, foraging for food in and obsessively recording her tale in writing. Running out of fuel in freezing weather, she burns her makeshift home to the ground and sets off in search of a new dwelling. She eventually comes across two hunters with a captive bear, stealing food from them until they spot and capture her. Although at first they are determined to bring her back to the village, they eventually have a change of heart and release her. The child must then make a choice of her own, whether to return to society or disappear into the wilderness for good. Looking for reading recommendations? 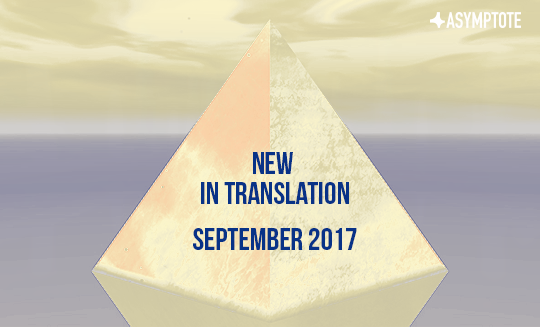 Here are three releases—a book-length essay about translation, a German novel, and an experimental anthology. Summer is drawing to a close and our bookshelves are groaning with the weight of new releases. Asymptote team members review three very different books—a genre-bending meditation on the practice of translation, a German bestseller about African refugees in Berlin, and an anthology of monologues that were once performed on the streets of Quebec City. There is much to delve into. 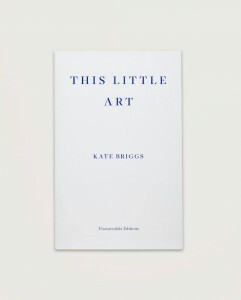 This Little Art by Kate Briggs, Fitzcarraldo Editions. Reviewed by Theophilus Kwek, Editor-at-Large, Singapore. It’s just coming across things that look really interesting and that I feel need a home in the English language. Coach House Books publishes and prints innovative Canadian fiction, non-fiction, poetry, and drama. The press was founded by Stan Bevington in 1965 and takes its name from the old coach house where he began putting out early works by many Canadian authors, including bpNichol and Michael Ondaatje. Since 1975, translations of Québécois literature have been an important part of the press’ catalogue. 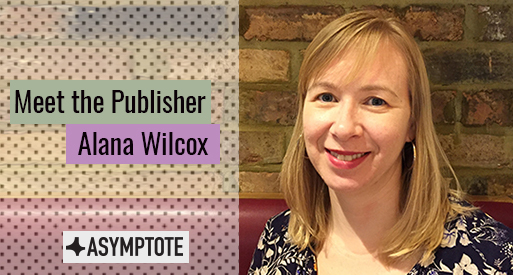 Poet, translator, and science writer Sarah Moses met with Alana Wilcox, Coach House’s editorial director since 2002, to discuss printing presses, bookish books, and translating French-Canadian authors. Sarah Moses (SM): Could you begin by talking about the history of Coach House? Alana Wilcox (AW): Coach House has been around since 1965, so we celebrated our fiftieth anniversary last year—not me personally, but the larger undertaking. It’s always been a press that focuses on innovative work, poetry, more difficult fiction, that kind of thing. It’s a long and convoluted story, like that of many presses: more difficult years, less difficult years, but we’re still at it, still publishing translation. SM: What do you mean by more difficult fiction? AW: I would include translation in that. By difficult I don’t necessarily mean fiction that’s hard to read, but that’s hard for people to think that they want to read—even though they might love it when they get into it. SM: Could you tell me a little about the printing side of Coach House? My first favourite writer was Roddy Doyle. I’d also enjoy sitting down for a pint of Guinness with Roddy. 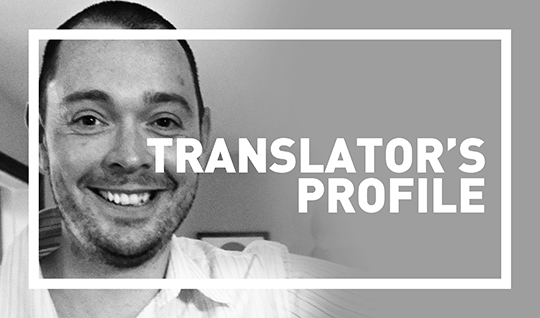 Originally from Ireland, award-winning translator Peter McCambridge holds a BA in modern languages from Cambridge University, England, and has lived in Quebec City since 2003. He runs Québec Reads and now QC Fiction, which recently published Eric Dupont‘s Life in the Court of Matane, excerpted in Asymptote’s Translation Tuesday showcase on the blog and at The Guardian here. At the risk of starting off a little lowbrow, I’d have to say Bernard Samson, the glass-half-full spy of Len Deighton’s “airport thriller” series. Nobody else comes remotely close, off the top of my head. I first read more or less everything Len Deighton had ever written when I was 11 to 14 and I’ve recently gone back to them in the new audio version. They go down perfectly after a hard day’s work. A hearty German meal in Berlin with Bernie and Werner and I’d be a very happy man, I think. In high school, the only thing I read and really loved was Edith Wharton’s The Age of Innocence. Thomas Hardy and a lot of other writers who were forced upon me left me cold. It’s funny: I’ve spent a lot of my life reading books that I’ve had to read. At university, I studied French and German literature, which didn’t leave much time for reading for fun. Looking back, a very small percentage of those books were ones that I really enjoyed and would happily read again. When I was younger, around 10 or 11, I remember reading The Secret Seven and a Hardy Boys adventure every night. To answer your question, I think my first favourite writer was Roddy Doyle. I’d also enjoy sitting down for a pint of Guinness with Roddy. I’ve always liked tamisé in French, just for the way it sounds. I always think it sounds soft, like the lighting it describes. To the Lighthouse and The Age of Innocence were both amazing and really left a mark on me. I’d also bring Ulysses and finish working my way through it with the help of Frank Delaney’s wonderful Re:Joyce podcasts. The next two books on my hopelessly long to-read list would make up the five. The obvious, truthful answer is Eric Dupont. He’s been compared in Québec to our very own Gabriel García Márquez and John Irving. I’m working hard to raise his profile through QC Fiction and Québec Reads. I worked for a few years translating advertising copy, legal contracts, recipes, and healthcare leaflets before thinking about translating a novel. More importantly, I was revised the whole time and I learned a lot. My employer’s philosophy rubbed off on me and that was to write what the author would have put had they been writing in English. It’s harder than it sounds. “The original sentence tells the translator what the sentence should say but not how exactly to say it,” Lazer Lederhendler told me recently, and I think that sums it up well. Which of the translations that you’ve worked on was the most challenging? Why? I felt a lot of pressure translating Lori Saint-Martin’s The Closed Door. But Lori is one of Canada’s best and best-known translators into French so she was a big help along the way. I learned French and German in high school in Ireland, then studied French and German literature at Cambridge. But I like to say that I began speaking French when I moved to Québec City in 2003. Moving to Québec meant I forgot all my German. Only for me to meet and marry a German girl here. Which meant I suddenly had to relearn everything. And then try to understand Schwäbisch. Now we speak German at home and French to our friends and children. That’s an easy one: Québec. I moved here so that my children would have that chance. At the minute, I’m kind of switching professions as I try to devote more time to being a fiction editor. But otherwise I think I’d be writing for a magazine somewhere (since soccer goalie is probably not a very realistic answer). Finally, in your bio, you mentioned that Life in the Court of Matane is the book that made you want to be a literary translator. Could you explain briefly why? It’s hard to explain. I read Bestiaire, as it’s known in the original French, when it first came out and just fell in love with it. I still love it today—even after spending a year translating it! Now it’s like living with someone: you can’t quite explain what attracted you in the first place, you just know your life is better with them in it. "The funny thing about memory is that it always ends up chasing its own tail. The most important thing is to keep it moving." Nadia Comaneci’s gold-medal performance at the Olympic Games in Montreal is the starting point for a whole new generation. Eric Dupont watches the performance on TV, mesmerized. The son of a police officer (Henry VIII) and a professional cook—as he likes to remind us—he grows up in the depths of the Quebec countryside with a new address for almost every birthday and little but memories of his mother to hang on to. His parents have divorced, and the novel’s narrator relates his childhood, comparing it to a family gymnastics performance worthy of Nadia herself. Life in the court of Matane is unforgiving, and we explore different facets of it (dreams of sovereignty, schoolyard bullying, imagined missions to Russia, poems by Baudelaire), each based around an encounter with a different animal, until the narrator befriends a great horned owl, summons up the courage to let go of the upper bar forever, and makes his glorious escape. Asked to review my year in reading and from it form reading resolutions, my immediate response is something I need to call an excited sigh. Asked to review my year in reading and from it form reading resolutions, my immediate response is something I need to call an excited sigh. For months now, as a judge for the Best Translated Book Award, all I’ve read are eligible books, books published in the US translated for the first time this year. Yet, there were a few months before that reading took over. For years now, I’ve taken pleasure in not being partway through any books when the new year begins, so as to open each year fresh. This year, Ilya Ilf and Evgeny Petrov’s The Golden Calf (trans. Helen Anderson and Konstantin Gurevich) made for a great New Year’s Day read. (To call it fitting, however, would be a lie.) The novel is hysterical, absurd, and clever, fueled by ambitious and clueless characters, fleeing and bumbling in pursuit of fortune. Taking advantage of a bitter winter, I read the Your Face Tomorrow trilogy from Javier Marias (trans. Margaret Jull Costa). It is rare for a project so vast to also be unflagging in both its entertainment and ability to find new shades and twists for its ideas: of cultural memories, of what it is to read another human being, of violence and intimacy. But this trilogy accomplishes it. From it alone, I could pluck a number of examples of one of my favorite narrative tricks: to make a scene continue endlessly through digression after digression. Unlike any other art form, the novel is thus able to manipulate the experience of time, both of the readers’ and the characters’. "It is not clear where one story begins and the other ends, or where the animal begins and the man begins." A story that can be retold and rewritten, but can all the while retain its own thingness—a story that can evolve in the imagination—is a finger in the face of the insipid outpouring of gifs and memes we daily consume, like Technicolor marshmallows shot out of the all powerful maw of the Facebook-Disney machine. 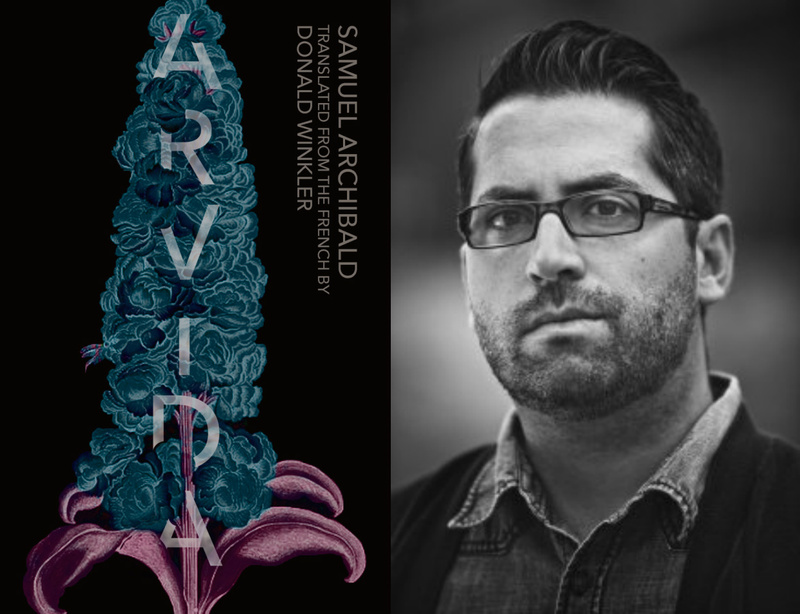 We of the lower forty-eight are fortunate, then, that something like Samuel Archibald’s Arvida, has been recently translated from the French by Donald Winkler. We need stories. And these stories from a land we’ve all been living alongside our whole American lives will do nicely. These are American stories. But another America, a hidden America, maybe even more American than the America we think we know. Canada. In Archibald’s Arvida, there is an echo of some of the wavering visions we have of our northern neighbor (evergreen, flannel), but they are woven into the fabric of a working-class town, both factual and fabulous, immediately calling up comparisons to Canadian filmmaker Guy Maddin’s evocations of Winnipeg. Both Maddin and Archibald tell their tales utilizing a personal history of a family and a discreet location, while at the same time breathing into them a dream logic and fairy tale or fable-like tropes. I looked at the animal, at its lifeless eye that would never see another thing, and I thought back to the grilled cheese I had eaten at nightfall. I’d spotted it lying in the ditch, one eye open, but perfectly still, its left side covered with black blood, its tongue hanging limply from its mouth. I’d stopped, as though the dead animal had been a boundary stone ordering me to a halt, and I’d taken the time to stare it down, thumbing my nose at death or bad luck. It was a long-legged husky with lovely grey and black fur. Its half-open mouth showed off teeth more white than yellow. And even in this lifeless state, lying there in the ditch, it was impressively built. It was a dog from the north, well used to sniffing around bears and moose. It was also a pet, trained to warn humans of the dangers of the wild. 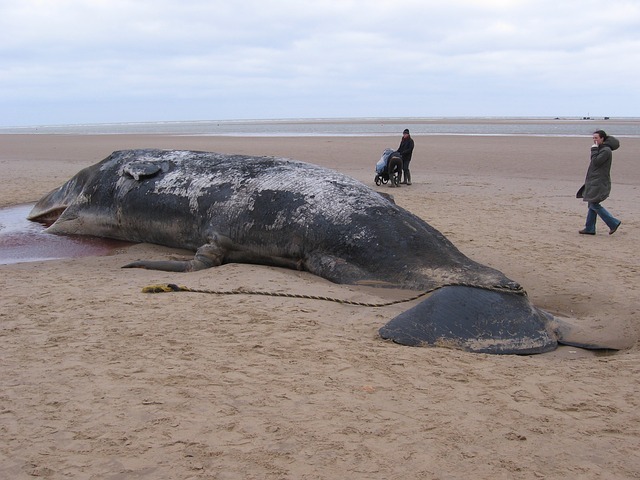 But at the end of the day it was just another animal lying dead at the side of the road, hit by a pickup rattling by at 120 k.p.h. or a truck piled high with heavy logs. And even though the sight of the dog was enough to spoil anyone’s appetite, I hadn’t eaten since the night before and hunger was gnawing away at my stomach. I looked at the animal, at its lifeless eye that would never see another thing, and I thought back to the grilled cheese I had eaten at nightfall at the rest stop in Hearst, the improbably French-speaking town in northern Ontario. I thought back to the coffee, too, paid for with my last few dollars, that I’d sipped slowly as I waited for morning to come. I recalled it sliding down into my stomach, whetting my appetite; I heard my stomach rumble and I thought of eating again, and told myself that I’d need to get to my destination before I could eat. And so I walked away from the dog, stuck my thumb in the air, and focused on the road. I walked. A cloud of smoke came out of my mouth and the frost creaked beneath my boots.